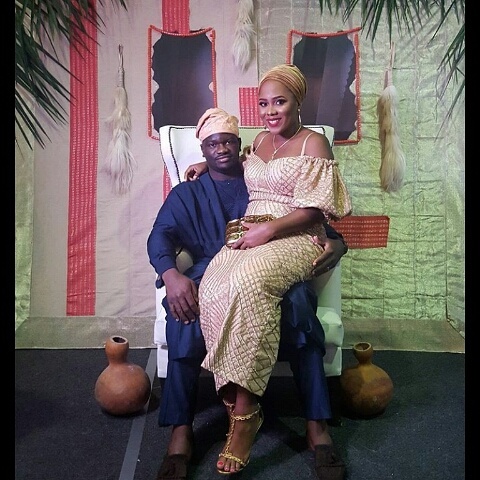 CHECHESMITHNATION : Lovely Photo Of Uche Pedro And Her Husband Spotted At A Friends Wedding! Lovely Photo Of Uche Pedro And Her Husband Spotted At A Friends Wedding! Bella Naija CEO, Uche Pedro was photographed at a wedding sitting pretty on her husband's laps. 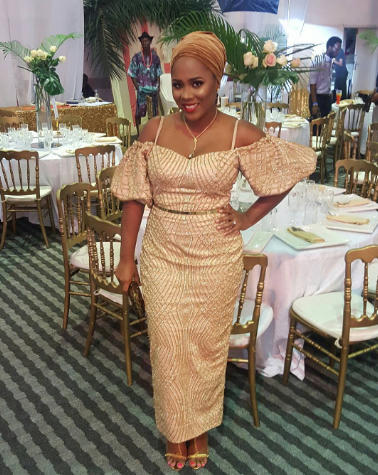 Uche looked cute rocking an all gold ensemble teamed with good head wrap and strappy heeled sandals, while her husband wore a blue trado-get-up with a good 'Fila' and black shoes. The couple looked so cute together though.